Who do you trust to watch your children when there’s a crisis? Is it a family member, a close friend or a trusted baby sitter? What if you have no one? You turn to Jeremiah’s Place. Now in its fourth year, Jeremiah’s Place is a free, 24/7 emergency child-abuse prevention center in the Kingsley Association building in Larimer. The center has served more than 500 children from across 58 ZIP codes since it opened in 2014. The highest concentration of children come from East Liberty, Wilkinsburg and Homewood. Most are from low-income neighborhoods where the lives of families are especially stressful, said Lisa Perry, executive director of the center. The center was co-founded by pediatrician Lynne Williams, obstetrics-gynecologist Tammy Murdock and child advocate Eileen Sharbaugh, who all saw a need for crisis day care in the area. The center is named after a child Dr. Williams’ mother fostered. 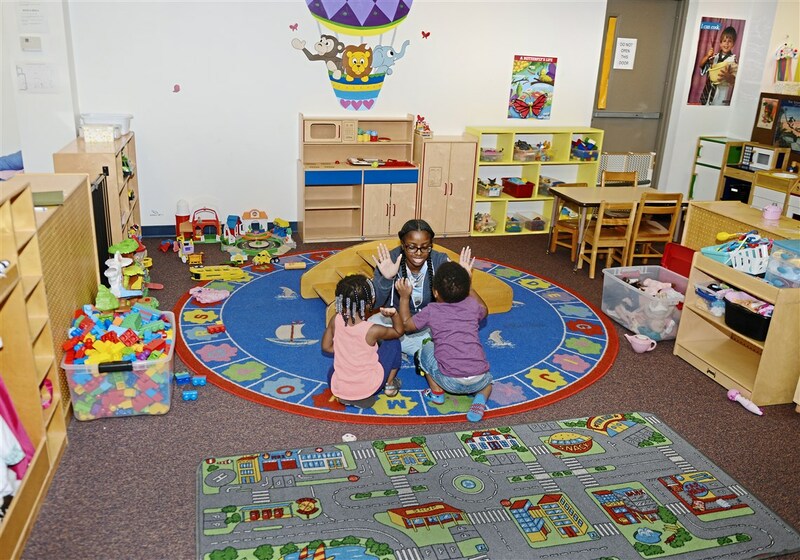 The center provides a safe space for families to leave their children during a time of crisis such as domestic violence, hospitalization, job search, a lack of long-term child care and even homelessness. Need is determined case by case when there is a situation where a child could be harmed or neglected. The center is not a baby sitter, Ms. Perry emphasized. The center is equipped to care for children from birth to age 6. Each of the three bedrooms is furnished with four beds, a special evacuation crib and a dresser full of children’s clothing. Outside of the rooms is a fully stocked kitchen with a shelf dedicated to macaroni and cheese. Beyond the kitchen is an expansive play area filled with dozens of toys and costumes. In the reading corner, staff members read to children who sit in colorful foam chairs. Almost everything in the center was donated or purchased through donations. You almost forget the children are here because their parents are facing crises. When the center opened, staff often saw single mothers fleeing from abusive relationships or violence. The center watched the children while their mothers remedied their problems. Staff members learned that a single crisis can lead to a series of related crises. For example, a single mother who had fled domestic abuse needed to interview for a job to support her family. The center watched her children during the interview. Since its opening, staff members have seen an increase in families who need respite. During a moment of extreme stress, it is easy to snap and make a poor decision that would harm the child, she said. Parents bring their children to the center when they’re reaching their breaking points. Parents who have mental illnesses or require hospitalization also frequent the center. Women dealing with depression, bipolar disorder or schizophrenia have dropped off their children when they are experiencing a serious mental episode or starting a new medication regimen. The body and mind can react adversely to new medications, sometimes leading to a violent episode, said Ms. Perry. It’s safest to remove the children temporarily. The center does not require proof of income and is open to anyone at no cost. Ms. Perry recalled that a wealthy woman dropped off her newborn at the center when she was suffering from postpartum depression. She could have hired a baby sitter or another service, but she trusted the center’s expertise and confidentiality, she said. All clients’ information is kept confidential to ensure privacy. The state requires that center employees have six hours of child care training for daytime care and 40 hours for nighttime care. All 15 part- and full-time staff have completed 40 or more hours of training and attend additional workshops on child care during the year. The children may suffer from anger issues, anxiety or other behavioral problems. The staff has also taken care of children on the autism spectrum. The center served 109 children in its first year, 155 in 2015 and 123 in 2016. Ms. Perry believes it can serve even more. Often people don’t have a quick way to reach the center in time of need. Public transportation is sometimes slow and inefficient, and many families simply don’t have access to any transportation at all, Ms. Perry said. The center is looking to partner with local transportation companies to provide emergency rides in the near future. Once the center has perfected its model, the goal is to open up replicated centers across the state and nation. Those who use the center are not bad parents, Ms. Perry stressed. Jeremiah’s Place is at 6435 Frankstown Ave., Larimer (15206). Information: 412-924-0726 or jeremiahsplace.org.